Native & Search provides you with a Power Editor that lets you manage your accounts more efficiently for greater control over your advertising campaigns. The Power Editor is easy to use and particularly useful for handling multiple campaigns with extensive lists of ads and keywords. 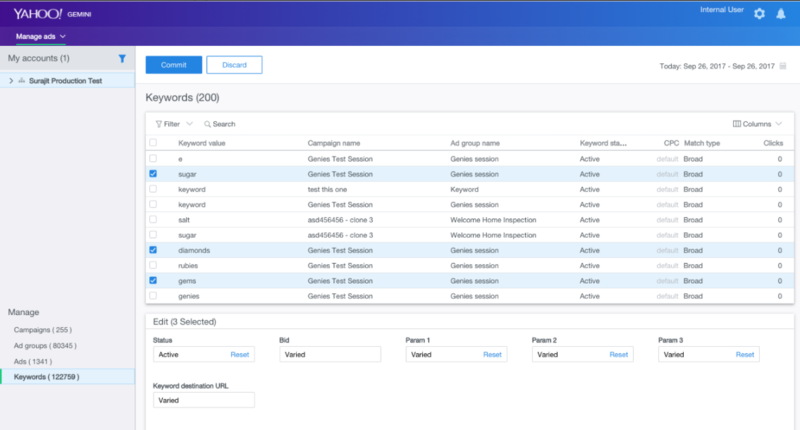 You can edit your campaigns in the Native & Search UI with a few simple clicks, and then commit your changes with immediate results and updates. The core value proposition for the Native & Search Power Editor is to provide advertisers with greater operational efficiency for monitoring and managing items across multiple entities, like accounts, campaigns, adgroups and ads. 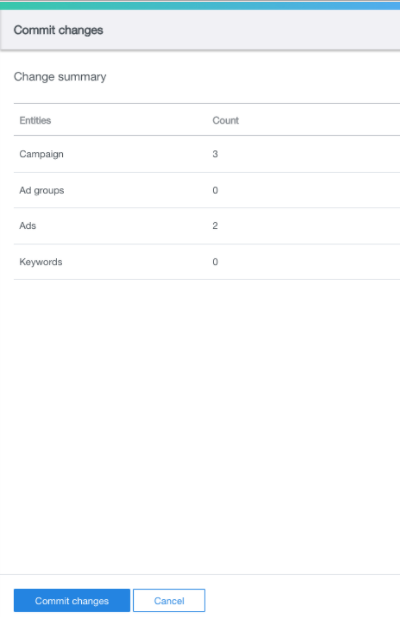 Filtering: Filter items such as ads based on performance across multiple campaigns. Bulk edit: Perform edits for each entity across multiple items, using Native & Search’s powerful editing features. Edit before commit: Make multiple changes across multiple entities, and then review them before the final commit is made. Edit across multiple accounts: View and edit multiple items across multiple accounts. Once you sign in to your Oath Native & Search account, navigate to Power editor and click the tab. Four main panels comprise the Native & Search Power Editor workspace. 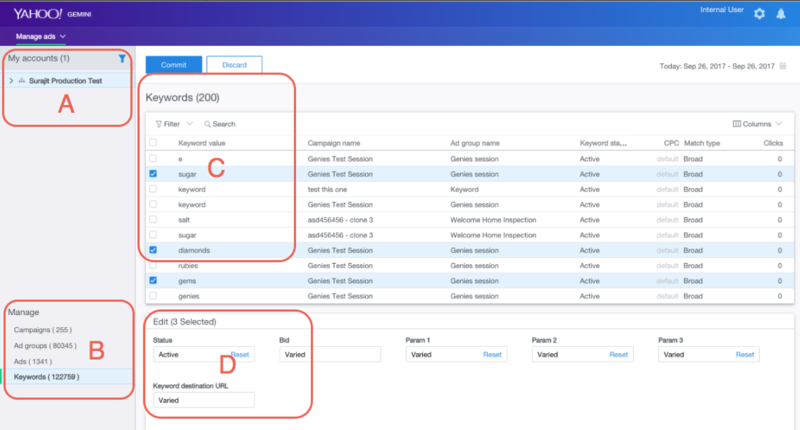 In each panel, you can perform the editing tasks necessary for your campaign management and workflows, as shown below. Account - (A) Where you choose the accounts you want to edit. Manage - (B) Where you select the entity you wish to edit. Entity - (C) The rows of items within the entity. Edit- (D) The edit functions available for selected entities. Navigate to the Account panel and select the accounts to which you would like to make edits. You can either select the multiple accounts by clicking the accounts shown or by using the filter function. Click the accounts. If you are running macOS, hold down the Command key while selecting multiple accounts. If you are running Windows, hold down the Control key while selecting multiple accounts. Filter function. Click the filter icon (a funnel on the top right portion of the account panel). You can filter your accounts by entering multiple Account IDs or by entering Account names in the dialog box. Once you’ve made your selection, click Apply. Once you have selected the accounts, choose the entity in the Manage panel that you wish to edit. By default, campaign is selected. Only 200 items will initially load out of the entire list of items. As you scroll down the list, the next batch of 200 items will load. In the Entity panel, you can select from the list of items that you want to make edits to. There is also a filter function to help you find specific items. In the Edit panel, you’ll see the set of edit functions available for a particular entity. The edits that you make will only affect the items that are selected. Once your edits are made, you’ll see a triangle icon appear on the items being modified. However at this point, none of the edits are executed. You’ll need to click the Commit button for edits to be executed. You can make several edits, and review them before you hit the commit button. Once you click the Commit button, you’ll see a preview of the changes that will be made. After reviewing those changes and ensuring they are correct, you can click Commit changes to start the change process. While the commits are being executed, you’ll see a progress bar running. Once the progress bar confirms all executions are complete, you can click it to see the commit results.